By now, many of us are familiar with the popular Aesop fable, "The Boy Who Cried Wolf," in which a young shepherd boy continuously tricks the villagers of his town into believing that he and his flock of sheep are being attacked by wolves - all when there's no threat in sight. The highly objected practice of "Crying Wolf" and it's potentially dire consequences can be applied in any number of surprising ways - including within the security industry and how you protect your business every day. 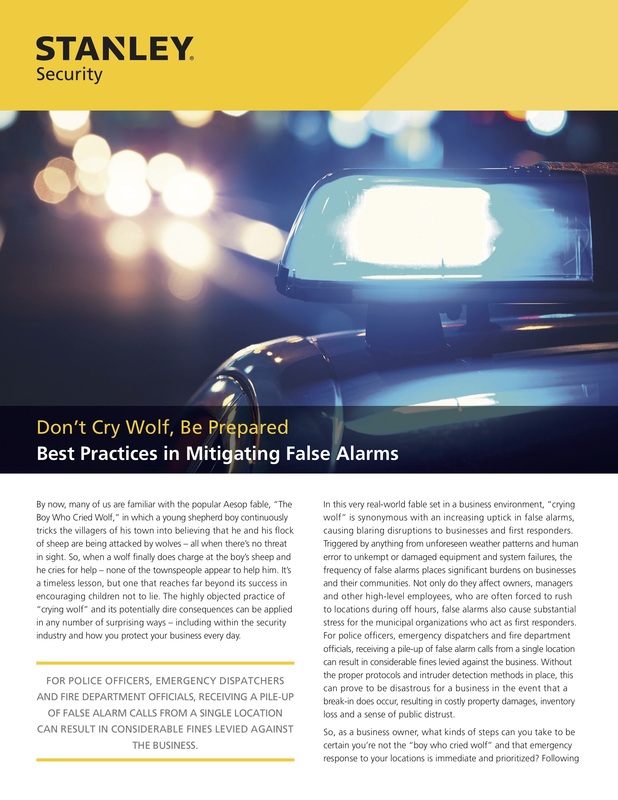 Check out this article to learn how implementing some best practices can help your organization reduce or eliminate false alarms.